The lotus is a symbol of transcendence, as its roots are in the mud of a lake bottom, but its blossom floats upon the water and is pure and beautiful. This original SPARKLE PLENTY pattern strives to capture that transcendence by using beads whose colours and finishes make the images shift as light strikes it in different directions. 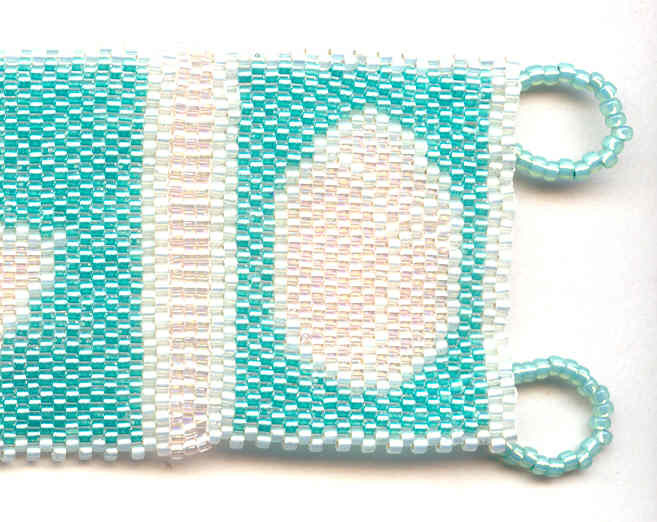 Each bead is individually sewn into place in a difficult and time-consuming process. The result is a flexible, beautiful and utterly unique bracelet, 1-3/4" wide, by 7-1/4" long. 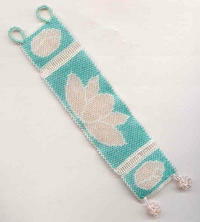 It closes with a pair of beaded beads and loops. 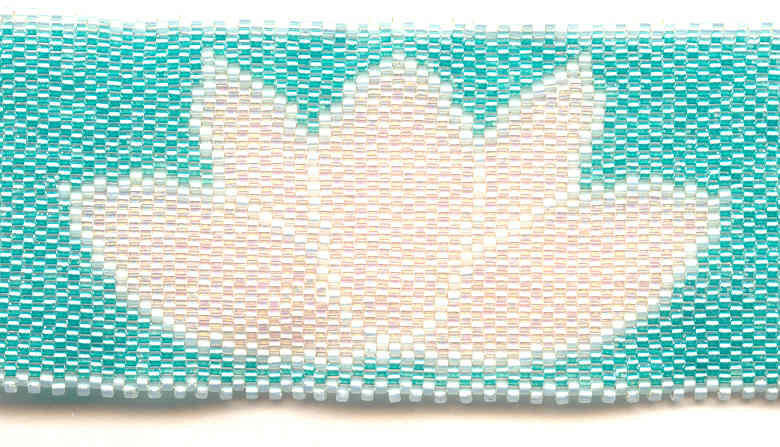 The central panel shows a lotus in full bloom, while the flanking panels have lotus buds. 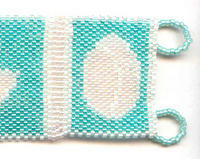 Each panel is worked in palest pink and opalescent white against a glowing seafoam background. We consider it one of our masterpieces here at SPARKLE PLENTY.